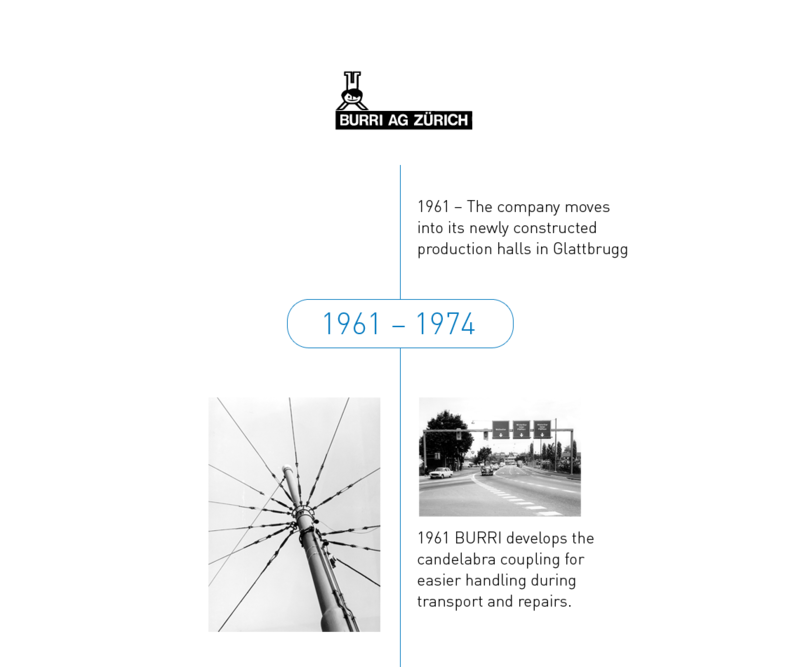 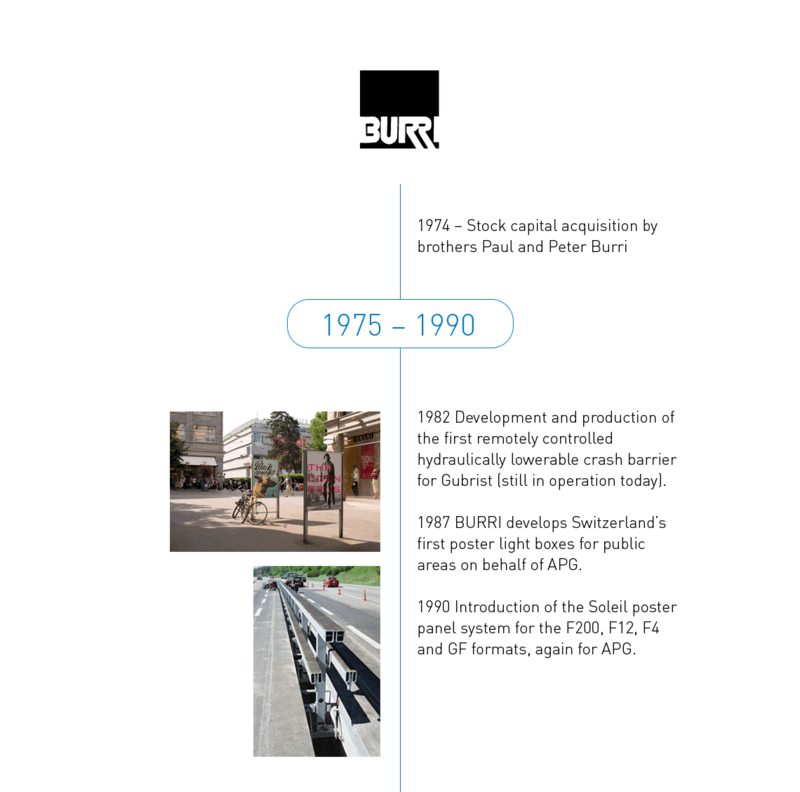 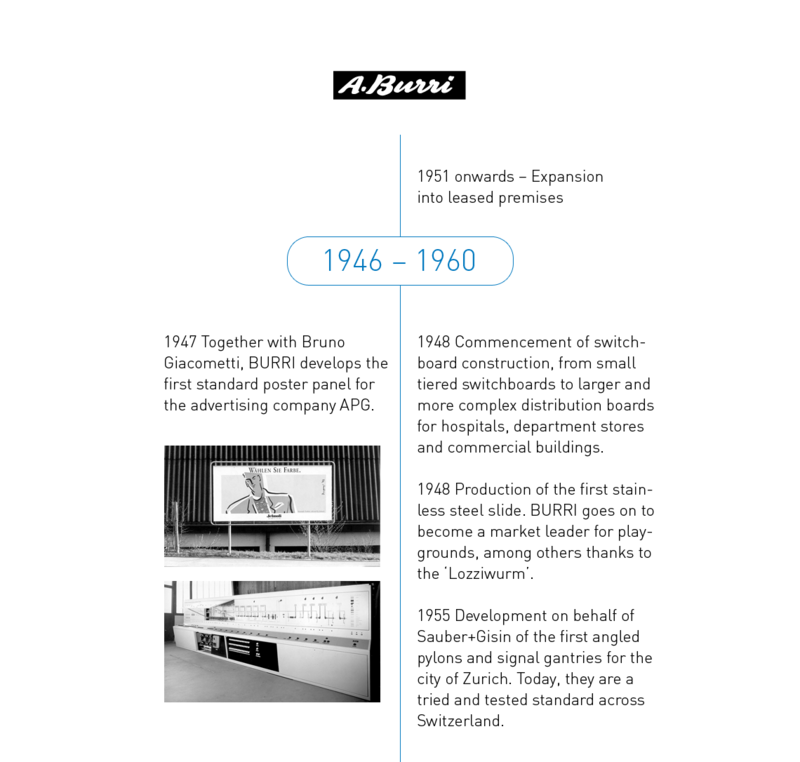 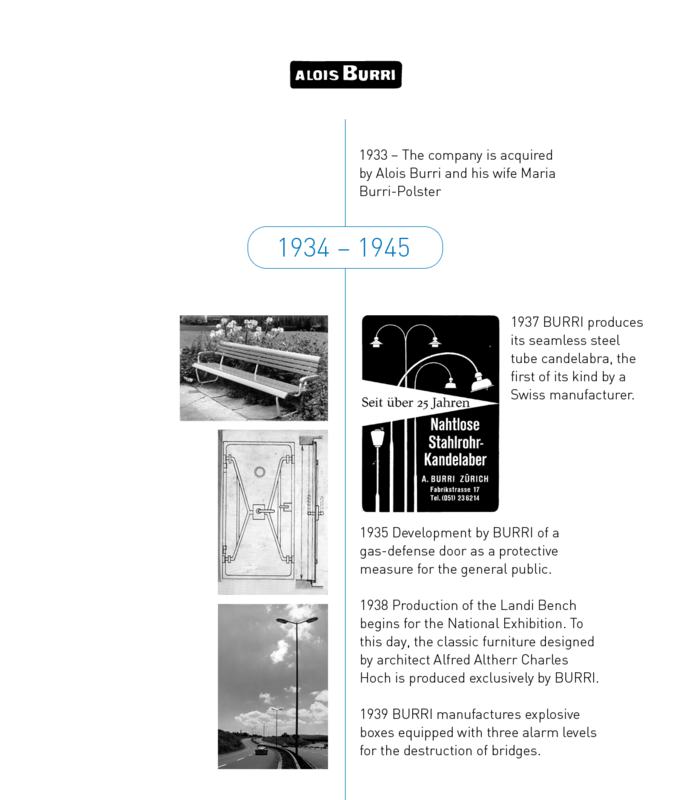 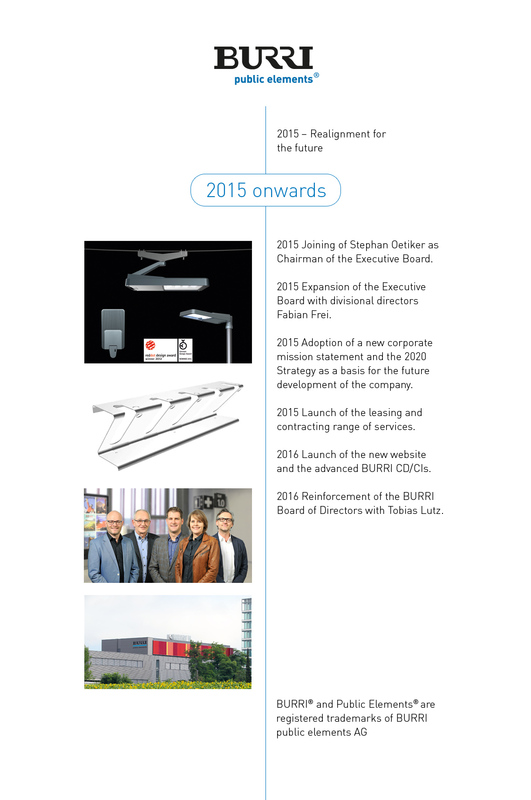 BURRI public elements AG was founded in 1907 and is now operated in its fifth generation. 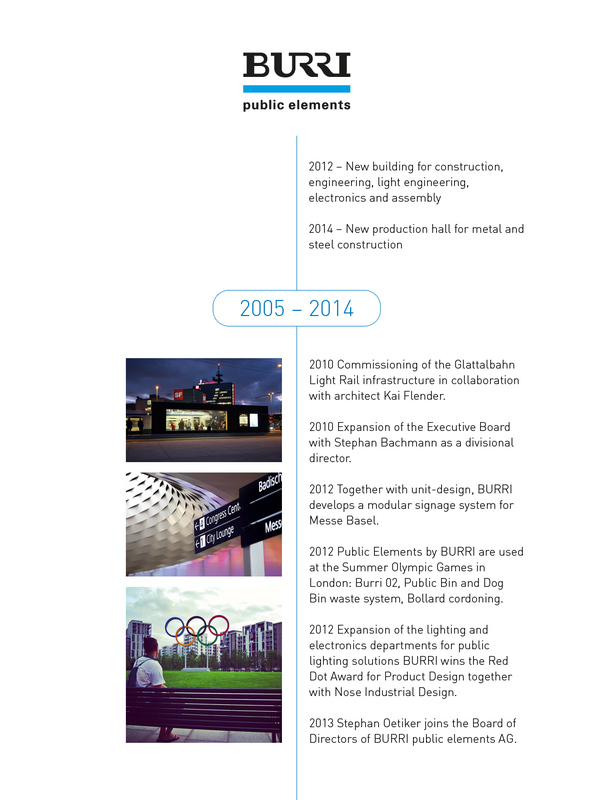 With our experience, we can generate numerous synergies, encompassing planning, development, project management all the way to the design and production of high quality and functional products for the public and semi-public domains – as the project manager or as general contractor. 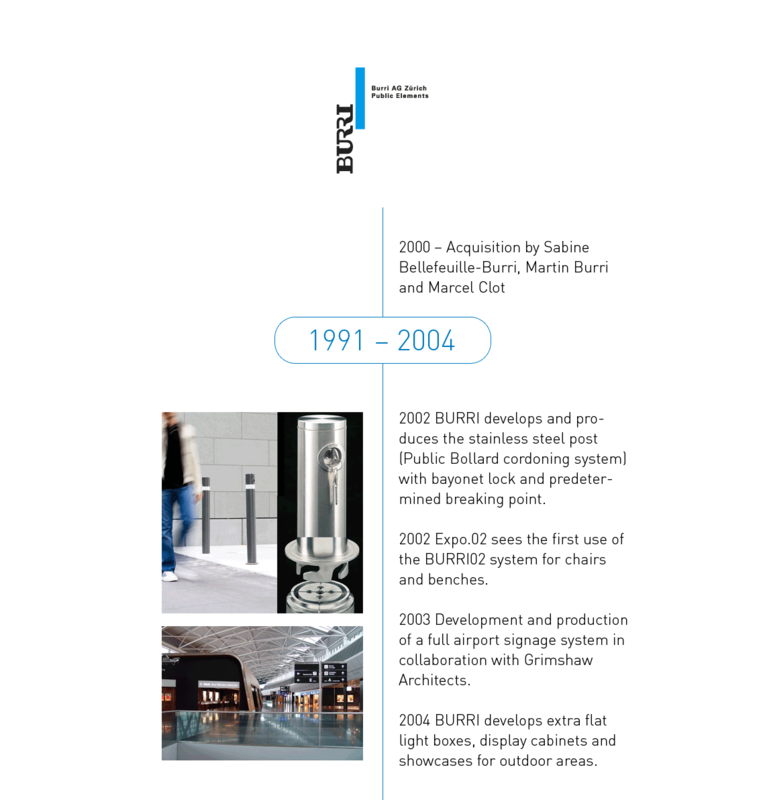 Thanks to the ongoing development of our proven systems and own-developed products, the Public Elements® range of products and services is extremely broad – from traffic engineering with candelabras and poles, to outdoor and street lighting, as well as signage and guidance systems, waste systems and public furniture such as the Landi bench.